I was born and raised in Ontario. South of Toronto. I went to university for business but quickly realized that my heart was not in it. Though I have had great success in working for large corporations, as well as running my own business development firms, I always knew my stories and fantasy worlds would one day take me over. I’m so very glad they did. I was picked up by a publisher eighteen months ago, and in that time, I’ve released the first of my six book series. It’s currently available on Amazon, with Target stores, and most recently, picked up by Chapters/Indigo. That’s the big Canadian chain. The follow up book is due out July 2018. I suppose I’ve always been writing. I can still remember my first story. At age five, I wrote about a hero boy who would fly around rescuing all the eggs that fell from nests, just so the baby birds would have a chance. There has always been a hero in my heart desperate to be born on paper. Though I’ve always loved to write, I had a story building in me since I was very young. When I was three, I was taken from my family and placed in foster care. In the horrors of abuse that ensued,I quickly realized that the only safe place for me was a universe I would build in my mind; a place I could always retreat to when things got scary. As I became an adult, I realized I had crafted so much that I was able to pen a six bookseries based on this universe and its characters. It was a story I felt needed to be told. A way to share what’s most important to me. 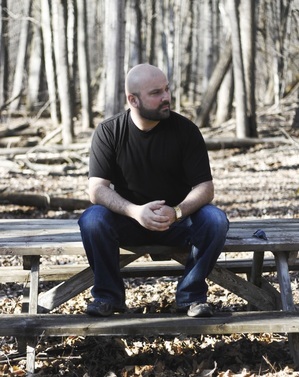 I suppose when my first novel began getting positive feedback, I realized that not only might there be a future in this for me, but people were really connecting with how I told my stories. It was then I considered myself a writer. A lot of pain, really. There was so much that had happened to me, and the way to process it all, or to make it all make sense, was to capture it under the guise of a tragic fantasy/romance tale. 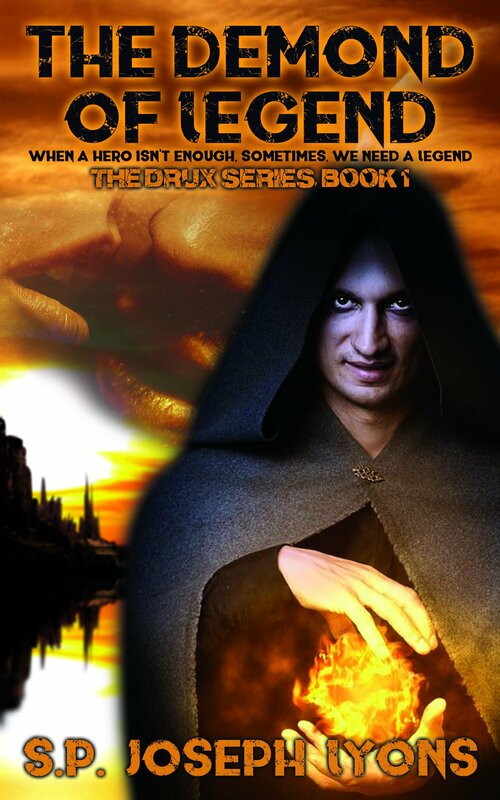 `The Demond of Legend’ was a title given the hero by those in the universe he’d saved. That’s the legacy he leaves behind in the first book. Ithought it an appropriate title given the magnitude of his impact and influence, not only in the first book, but as he is remembered in the rest of the series. I’ve been told that I keep the story moving quickly while putting the right amount of emphasis where it counts. My simplistic but poetic rhythm seems to resonate well with everyone who has enjoyed my work. Though I’ve found the fantasy genre very rewarding for its open borders with raw creativity, it’s also one of the hardest genres to get published in. Though the journey to publication was difficult at times, through endurance, dedication, and passion, I managed to overcome the obstacles and land a publishing deal. All of my books are based on some element of me, my life, and the people who have impacted me in some way. Though I won’t go into specifics, in some cases, full conversations are taken verbatim. As are many events as they unfold. It’s all been woven into a fantasy universe to allow for creative expression where extra emphasis may be needed to really show the emotion of an event. The heart of how I lived and who I loved are locked in my pages forever. Only in my mind. But I will say that once you create the rules of your worlds, your universe, you must take them all into account as you continue to expand. I cannot express enough how important continuity is for believability. My covers are designed by my publisher and myself. The most important things to me are love and passion. I don’t believe one can exist without the other, and that in all situations one could ever encounter, both can be applied. As my stories are based on love, and on all passionate ventures from the deepest of intimate connections, to the bloodiest grit of war, I want readers to know how important each are. I’ve taken a break from diving into new literature until my series is complete. I don’t want to sway my process or direction. This will of course mean I’ll have a lot of catching up to do when I’m finished. I can honestly say I’ve never read ‘A Game of Thrones’, but it’s on the list. Picking a favorite author is a tough one, but if I had to pick someone who has touched me personally across genres, it would be C.S. Lewis. He finds those ingenious ways to say the most complex things in the simplest of ways. My birth mother was thrilled when she heard I had become a published author. Not for a moment did she doubt it would happen for me. In a lot of ways, that fuelled my efforts, even in my lowest points. I was glad that I was able to share my success with her before she passed. I have dedicated my second book to her. It has become just that for me. I couldn’t imagine doing anything else. Not a thing. My entire heart and soul goes not only into my book, but each chapter, each paragraph, each line, just to ensure it says exactly what I want it to say, the way I want to say it. By the time I’m finished, I’m as happy with it as I can be. Many countless hours goes into this process though, and it’s not always easy finding the perfect words to express yourself. Quite a number of things, but I think my most favorite lessen is that you cannot force your characters. Often you’ll have an idea of who they will be, but you’d be surprised to find that sometimes they take on a personality you didn’t expect. I love when that happens. That’s a great question, and one I’ve spent much time contemplating! I’d choose Chris Hemsworth. He closely matches the uniqueness of the protagonist of my first book, and has all the expressions and mannerisms to really climb into the skin of Demond and bring him to life. Don’t give up! Don’t settle! I’ve seen too many authors give up after a bit of critical response, or for not achieving their goals as quickly as they had hoped. Don’t let others discourage you. You won’t please everyone, but your core fanbase will love you. Also, writing takes time. Not just to put ideas to paper, but to get noticed. It’s a lot of work, but give it time. Secondly, don’t assume your first draft is the best draft. Always strive to improve your craft. What you thought was perfect once, you may laugh at in a few years. Every edit is a chance to find a better way to say what you need to say. Love and passion. In all I write, in all I say, in all I want you to experience in the pages of my books, let love and passion be the guides for each and every step. Currently I’m not. That’ll change once I complete the last two books in this series. Although, with the release of the new movie, Stephen King’s ‘IT’ is teasing me from the top shelf. It was Shel Silverstein’s ‘The Giving Tree’. It still chokes me up. I love dumb jokes. You know the really silly, stupid ones that are only funny because of how stupid they are? I’m a sucker for those. Broken hearts and lost love hit me hard in a moment. The tragic loss of something meant to be so beautiful. This can tear down the heart of even the strongest of warriors. My grandfather. He was a proud Algonquin warrior, born on an Indian reserve. He ran away from a residential school after many beatings at the hands of the nuns. As a young adult, he was a sniper in the war, could speak English, French, German, Algonquin, Ojibwa, and Cree, fluently. He could build his own canoes from scratch, and could live off the land, which he did for long stretches. He is someone braver and more talented than I could ever imagine being, and I never got a chance to meet him. In his circles, he was a legend. To spend a day with him on the open waters of northern Canada, in a canoe of his making, listening to his countless stories, would be an unforgettable time. Writing is that hobby that became a career, so, I can say I’m lucky enough to have combined both. So many! Anything fantasy or Sci-Fi. Period pieces, documentaries, you name it. Anything with true love or a tale of revenge end up being my favorites. I absolutely love anything Indian or Thai! I adore spicy food with flavor. I’m fond of all the spectrums of color between blue and black. I find so much emotion in ambient chill music. It’s always been a huge driver for chapter or story directions. There are many ways to express creatively. If I could not write, I would act. www.thedruxseries.com – This is where you’ll get first-hand information on any new titles. From here you can access all of my social media, should you wish to follow me. Also, if you want samples of my craft, there is a link to my Wattpad page. Come take the journey with me.